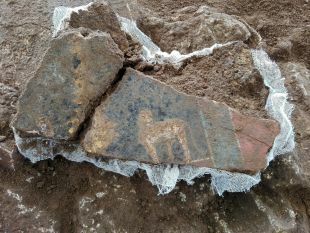 Elaborate decorations including stucco from the time of Nero have been found in the remains of a villa and bath complex in the outskirts of Rome. 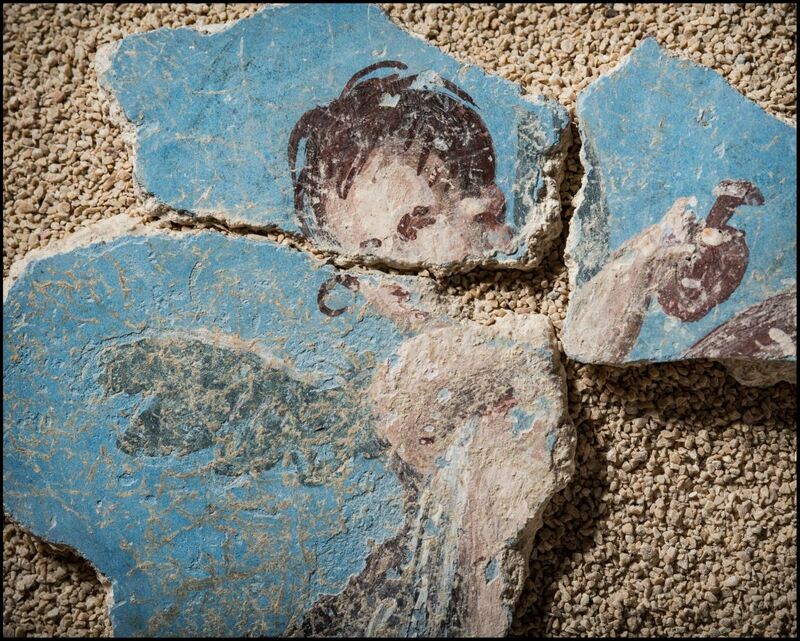 Among the wonderfully preserved wall paintings is one of winged cherubs on a sky-blue background. 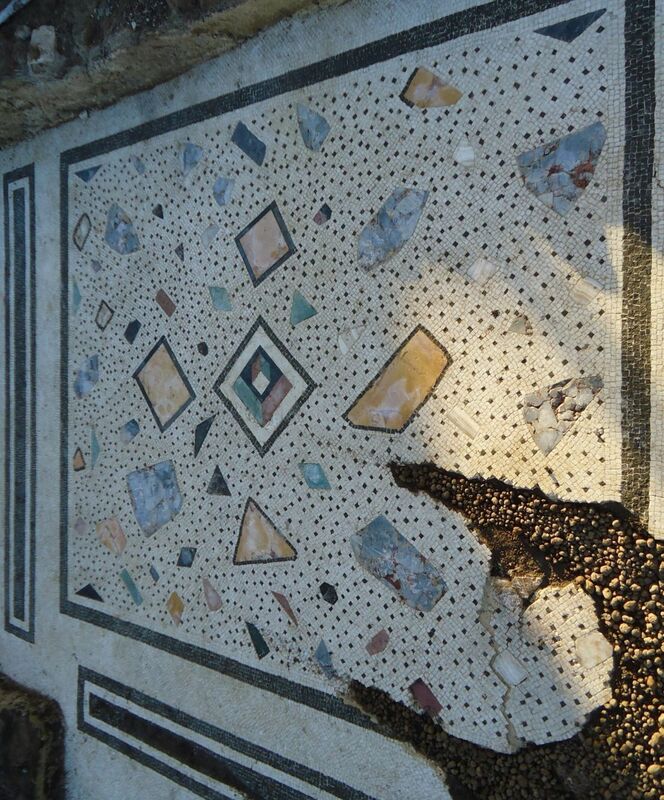 The Villa delle Terme degli Stucchi Dipinti, occupying a vast stretch of land near the Ciampino airport south of Rome, was discovered in a salvage excavation in 2010 while the municipality was prospecting land for a new neighborhood. Systematic excavation started three years later. 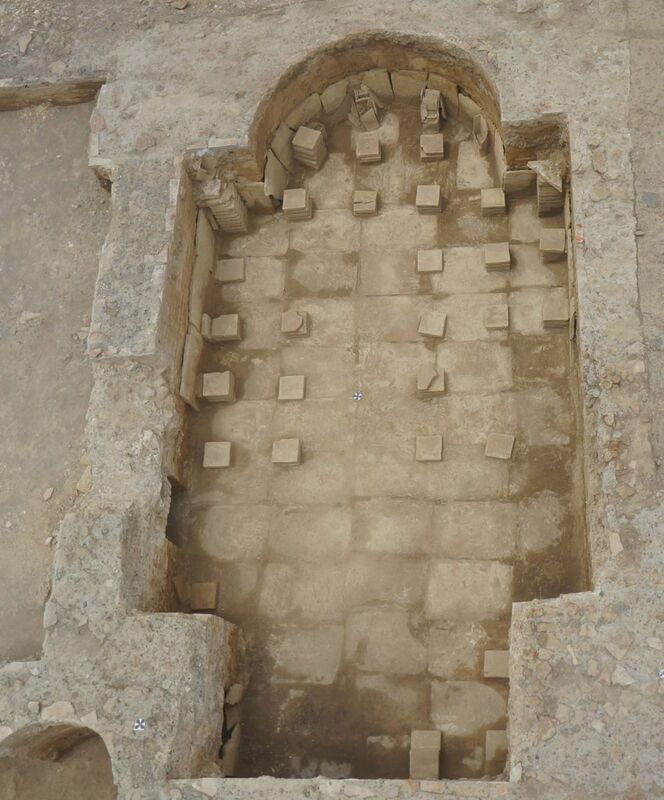 What the archaeologists found was a luxurious home dating between the 2nd century B.C.E. and the 1th century C.E., with an elaborate thermal bath complex. The villa featured a complex system of underground cisterns, channels and pipelines that supplied water to the baths, a kitchen, and a praefurnium, where wood was burned to heat water for the baths. 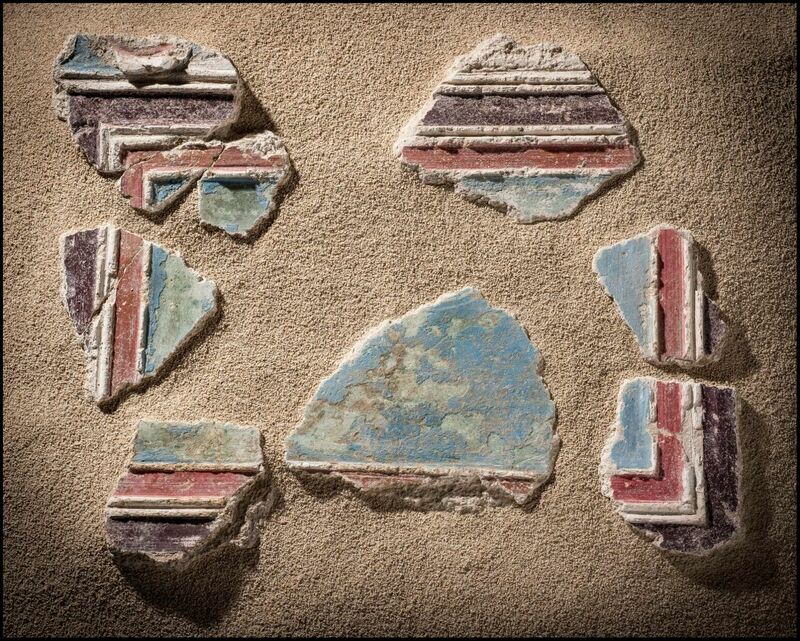 The bathhouse rooms were equipped with couches called biclinia, mosaic paving, frescoes, and colored plaster floors. 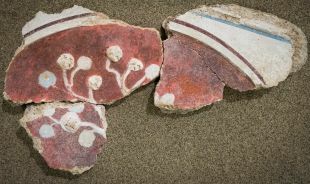 The excavators also found a wealth of polychrome marble fragments, and what seems to be the remains of a small garden with a fountain. The villa had been used for centuries, beginning in the Archaic period (700 B.C.E. ), and continuing throughout Republican until the late Imperial times. Since no statuary was found, the archaeologists suspect that when the villa was abruptly abandoned at the end of the Emperor Nero's reign (67-68 C.E), its marbles and sculptures were looted. Somebody had apparently prepared for the evil day, although they didn't manage to take advantage of their preparations: A small treasure of bronze coins minted under the Emperor Tiberius (14-37 C.E.) was found discovered at the bottom of the hearth in a kitchen, where it had lain hidden away for almost 2,000 years. The territory around Rome was densely populated in ancient times. The famous Roman roads stretched between the rural settlements and holiday homes of the rich scattered between the Urbs and the Alban Hills volcano complex (which isn't extinct after all: it rumbled back to life in 2016, albeit not achieving much). 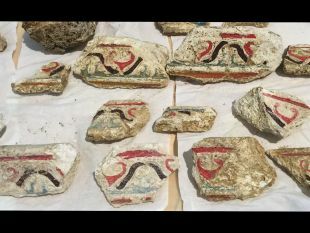 “Our villa was abandoned when some of the rooms were still undergoing renovation works," Giulia Rocco, professor of classical archaeology at the University of Rome told Haaretz. 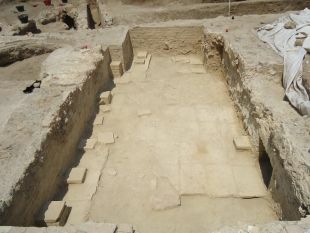 "We found building materials not yet used, and most of the other villas nearby were inhabited until the 6th century C.E." 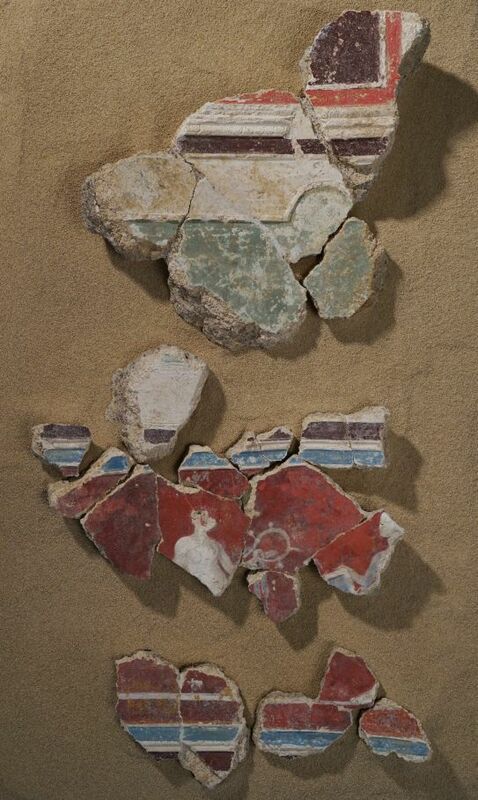 The archaeologists collected thousands of fresco fragments that collapsed with the rooms' walls, which were pretty much lost. Finding a Roman villa by Rome isn't exactly exceptional, but the site is one of the few residential complexes in the city suburbs that has been systematically excavated, Rocco explains. 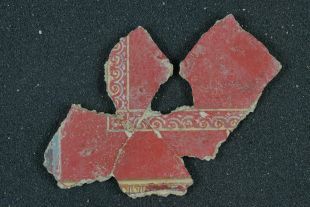 From their discoveries, the archaeologists deduce that the villa complex underwent modifications over no less than 300 years, from the 2nd century B.C.E. through the 1st century C.E. "In the following years, works continued with the construction of the baths that were used by the owner and his guests," she says. The bath facilities included a sauna (laconicum), a calidarium (hot bath), a tepidarium with warm water, a frigidarium with cold water and a small covered swimming pool (natatio). 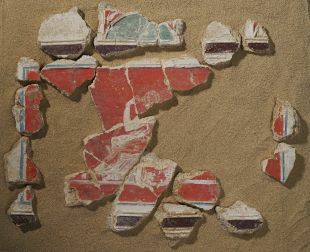 "The style of the frescoes, of the fourth Pompeian style, allows us to date the construction of the baths in the Julio-Claudian period (14 -68 C.E. )," she says. 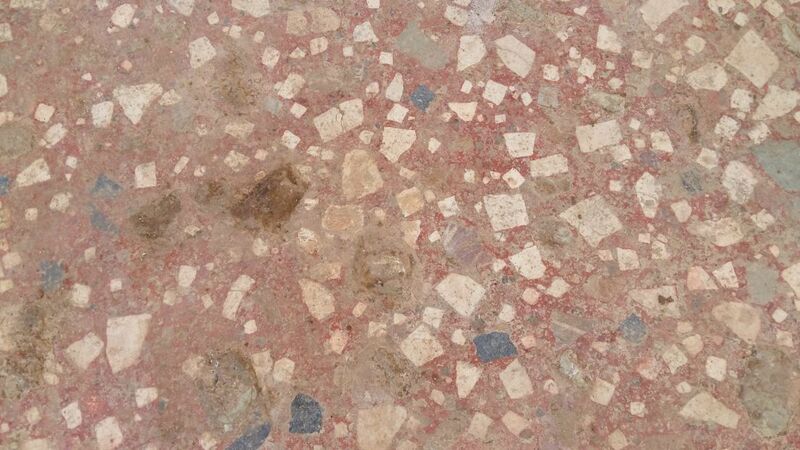 The rooms were paved with polychrome marble slabs, mosaics and were richly frescoed, she adds. Who initially owned the complex is anybody’s guess. It may have belonged to a wealthy landowner who held private parties in the baths for his friends. Usually the owner's name would have been stamped on the lead water pipes," Rocco told Haaretz. It wasn't this time, so the owner's political influence can only be inferred by the grandness of his domicile: "Certainly, he was rich enough to have such a villa." She points out that there are other villas in the area, connected by paved Roman roads. Roman landowners liked the area in part for its wealth of water, which enabled them to farm and build the luxurious thermal baths. 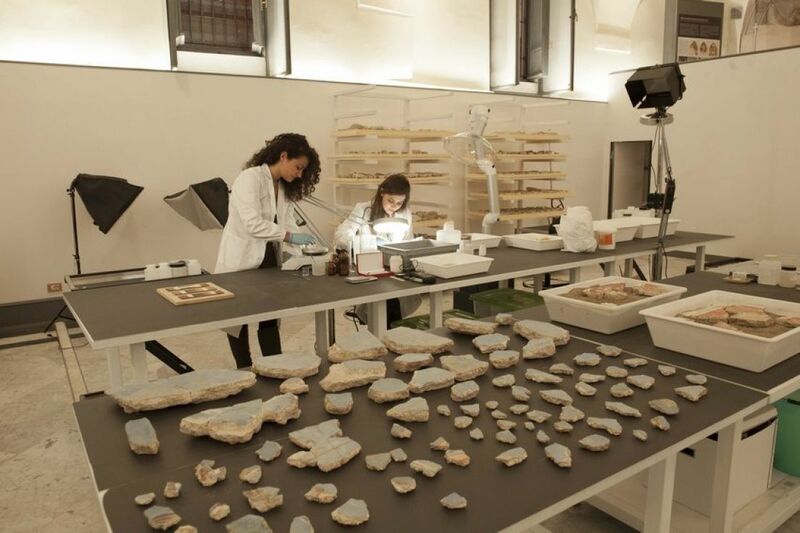 In October 2017 thousands of fragments of plaster and stucco from the bathhouse were moved to a laboratory inside the former church of Santa Marta at the Collegio Romano, where the public can view them. 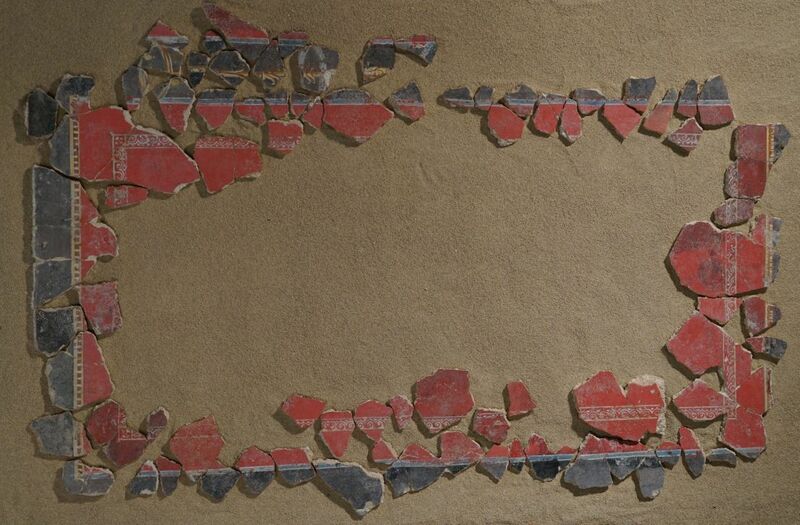 Together with the Central Institute for Conservation and Restoration, the archaeologists are trying to reconstruct – from the thousand of fragments – not only the frescoes but the volume of the rooms they decorated. It is an actual restoration combined with a virtual one, Rocco says. 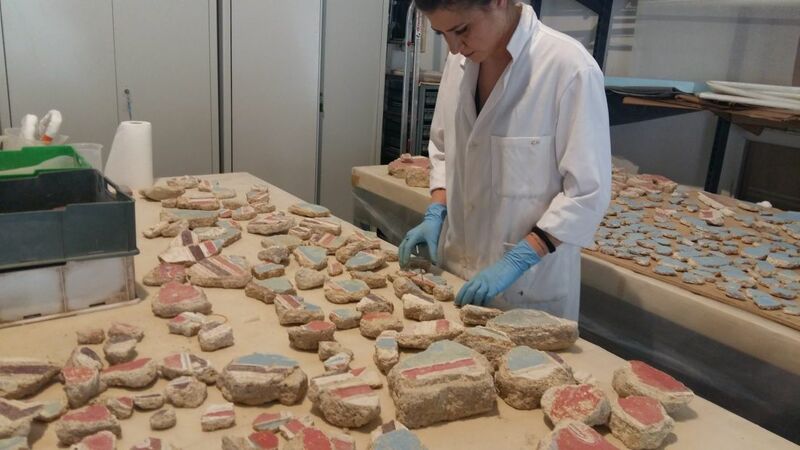 The research was organized by a team of classical archaeology professors at the University of Rome Tor Vergata: (Margherita Bonanno, Marcella Pisani, Giulia Rocco, and archaeologist Alessandra Ghelli of the Tourism and Culture Ministry.